Dreams cost nothing. They are free. The hard part is just keeping them going. 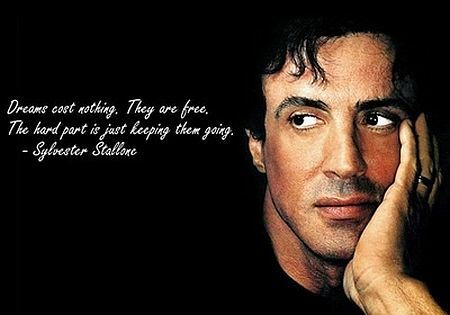 – Sylvester Stallone.